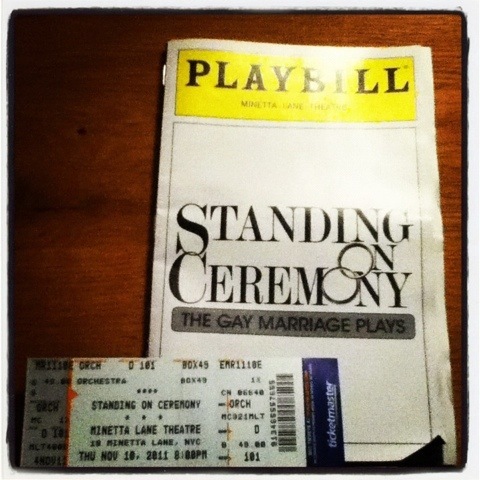 standing on ceremony @gaymarriageplays – teamgloria, inc.
Posted on November 11, 2011 by teamgloria in people., things. Last night we went to the theatre to see Standing on Ceremony – it was thought-provoking, heart-warming, tears were spilled and, during the funny bits (there were Lots, especially during Mo Gaffney’s oeuvre – she is one deliciously hysterical writer) team gloria giggled so much that our scar hurt and We Didn’t Care – it was That good. 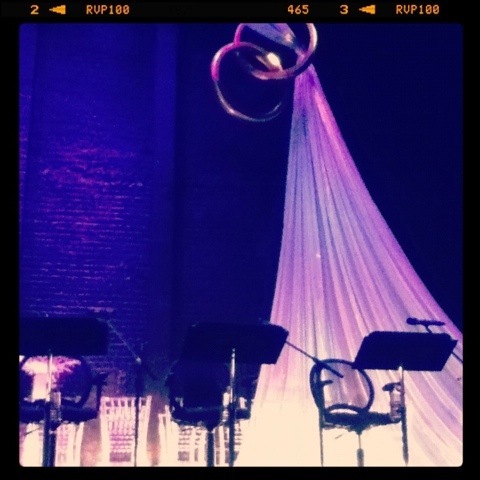 The staging was also glam. We adore swathes of chiffon. After all, darlings. Life is exquisite when filled with (lots of different sorts) of love. Bravo to director Stuart Ross and his delicious cast – including Polly Draper whom we Adored in thirtysomething, and Craig Bierko whom we first met at a movie star’s house in coldwater canyon and then in an elevator at a private club in NYC – yes, we have lived Many Lives. Previous Post glam. inspirational. international. and all with fabulous hair.